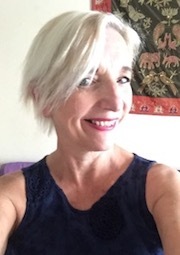 Pam Thompson is a freelance writer and lecturer based in Leicester and has a PhD in Creative Writing from De Montfort University. She is one of the organisers of Word!, a spoken-word, open-mic night at The Y Theatre in Leicester. Pam has been widely published in magazines such as The North, The Interpreter’s House, Antiphon, The Rialto, Mslexia, Magma, Hearing Voices and Under the Radar. She was winner of the Magma Judge’s Prize in 2015 and Highly Commended in the Forward Prize Anthology in the same year. She won 3rd Prize in the Poets and Players Poetry Competition 2017. Strange Fashion is her second collection.